This site began as an introduction to Harry Harrison’s amazing book, and my efforts to make a film of it. Now, surprisingly enough, two years have passed, and the film is getting near to being finished. The running time is currently 85 minutes (not including credits). It is entirely in black and white, with the exception of the opening and closing cartoon scenes, which are in colour — so it’s THE WIZARD OF OZ in reverse. Sort of. 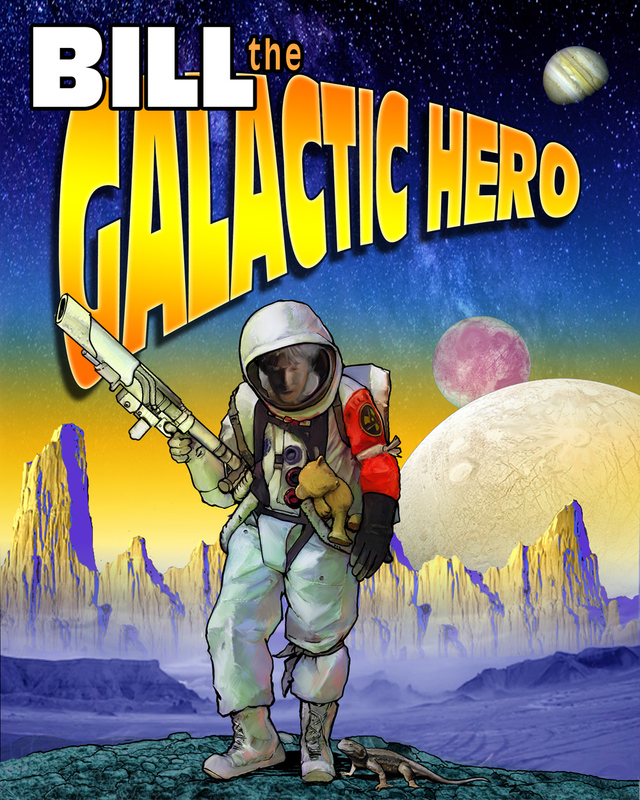 The picture is mostly locked, with the exception of the space battle sequence in which Bill saves Helior’s fleet and is rewarded with a trip to the Imperial Planet. Shots of heroic spaceship action keep coming in; the images of Eager Beager’s escape from his/her helmet and of the Imperial Planet itself have yet to follow. With luck all visuals will be complete by the end of this month, and the audio locked by mid-November. That gives us about a month to create the DVDs and Blu-Ray disks and the digital cinema package which will play at BILL’s world premiere, at the International Film Series in Boulder, CO, on 12 December.